My new focus is on generalising bliss's feature set to cover correctness and completeness of all metadata, not just cover art, genres and years. 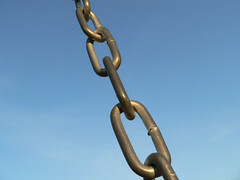 The first step on this road is to push forward the concept of online release linking. That means the online release data that bliss has identified a given album in your library as being. Once such an album, or albums, are identified, metadata can be synchronised from the online record to your own files. You can see for each album a list of linked releases is shown. That includes the cover art, the year or release and the likelihood of being the correct match. Clicking the View button takes you off to the online data for that release. We'll be adding more data to help differentiate albums, like the type of release (album, single, promo etc) and the country of release, soon. If no online lookup has taken place for an album, the box will be unpopulated. This might be because an album is already compliant, in which case no lookup is required. To force a lookup and then review the linked releases, you can view the change art screen. The results are cached, and can subsequently be reviewed in the linked releases panel. The idea is to use this ordered list of releases to help ensure the correctness and completeness of metadata. By "synchronising" an album of files against online records, we can check to see where current data in your files diverges from online records. That covers correctness. Similarly, to cover completeness, where data is missing in your files bliss can suggest remedies to ensure the data is filled in. One could imagine automated synchronisation taking place, so your albums benefit from the same grooming and improvement of metadata that online databases benefit from. Only allow one instance of bliss to run at once. Add a link to Google Images on the "Provide URL" tab in the change art page. In app update will only work for release 20170209 and later. That's because of the changes introduced in 20170209 and which I wrote about in my call for beta testers. Users on older versions should download the latest and install manually, and from then on in-app update should work again. Thanks to Max Klingensmith for the image above.